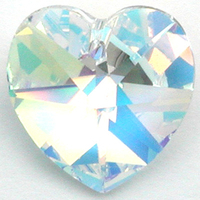 Let your love show with super-sparkly Swarovski hearts. 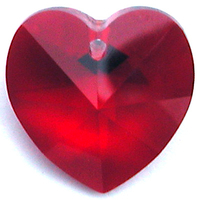 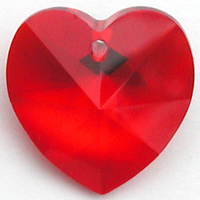 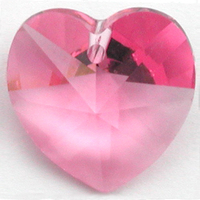 6228 crystal heart pendants comes in a variety of sizes and colors that work well in earring, charm bracelet and pendant necklace designs inspired by love. 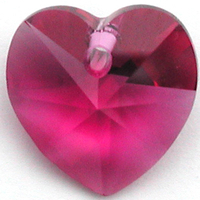 These classic Swarovski crystal heart-shaped pendants deliver your message of love beautifully. 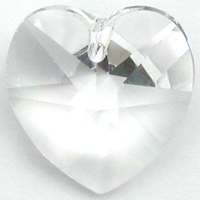 Swarovski Pendants 18mm heart (6228) crystal ab (clear) New!